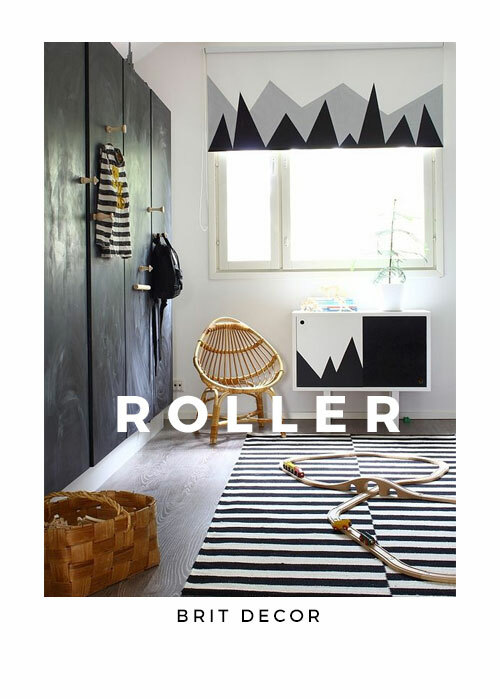 Brit Decor : Home Page: Brit Decor: The Art of window styling - 5 ways to dress a killer window! 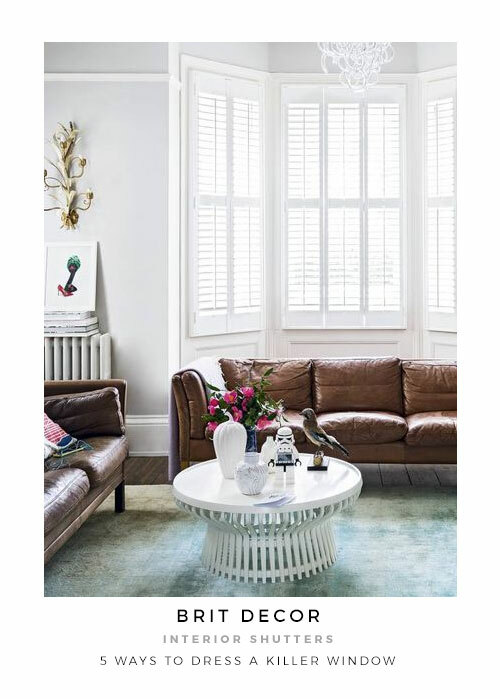 Brit Decor: The Art of window styling - 5 ways to dress a killer window! Soap box time! One of my pet interiors hates has to be neglected window spaces. Windows tend to cover a pretty large surface area in the average home, so they should in theory be given due attention when it comes to styling our living spaces. They also convey first impressions to the outside world. The great thing about dressing windows is that even when the framework has seen better days, with the correct style treatment this really doesn't matter as much, and you will have created the perfect visual distraction. For inspiration I've consulted with the team over at Luxaflex, who provide a complete series of exclusive and custom-made designs, to compose my top five tips for styling a killer window. *Posted in partnership with Luxaflex. 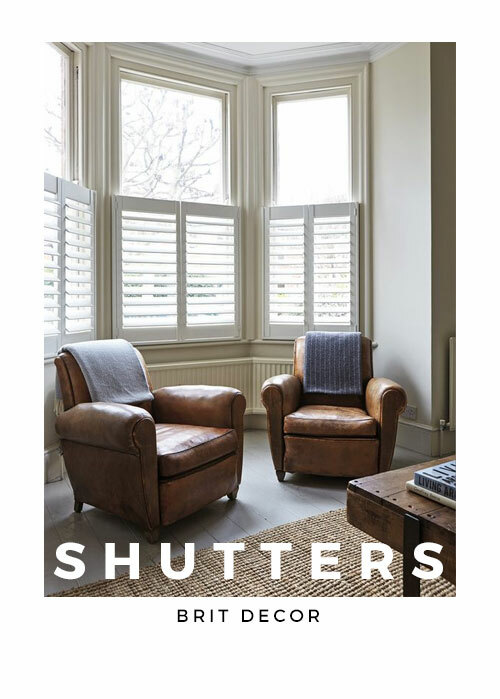 Shutters are popping up in an ever growing number of windows, and deservedly so. Essentially these are a contemporary take on the classic sash shutters, but with the added advantage of allowing light to filter through. 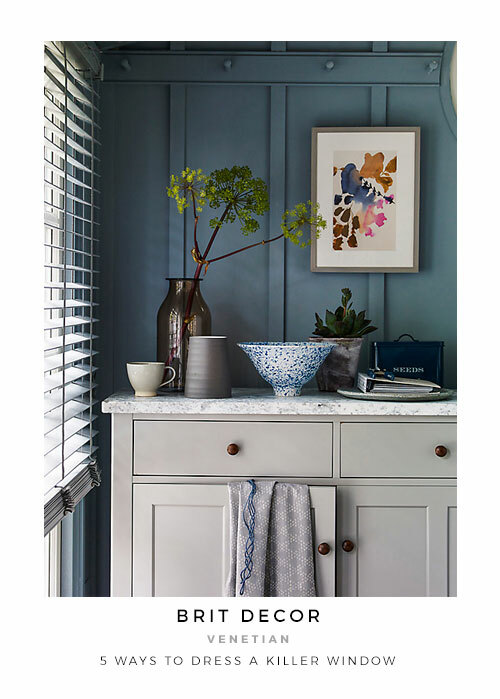 Shutters are guaranteed to bring a feeling of quality to a room scheme and work particularly well with bright & breezy palettes for that fresh New England 'look'. 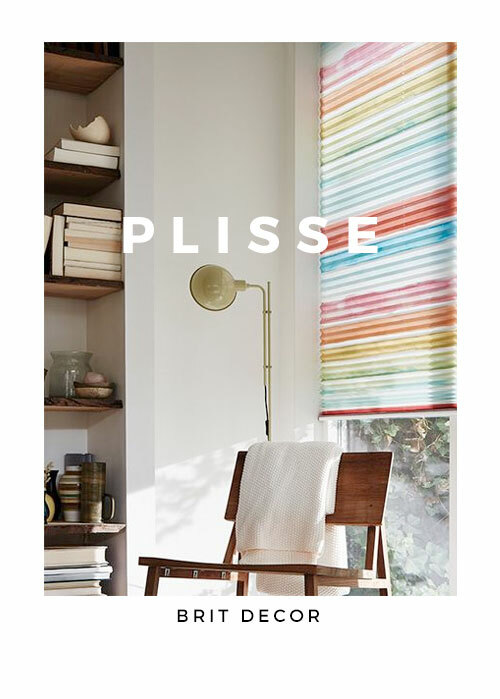 Plisse blinds deliver a neatly concertinaed effect and can offer a happy medium between Venetian and Roman styles. I love the way this style can look equally strong in both neutral hues and bright pops of colour - perfect for a touch of accenting! I'm swooning for the multi-coloured version just 'above'. Semi-transparent window dressings are a sheer delight (sorry I couldn't resist!). 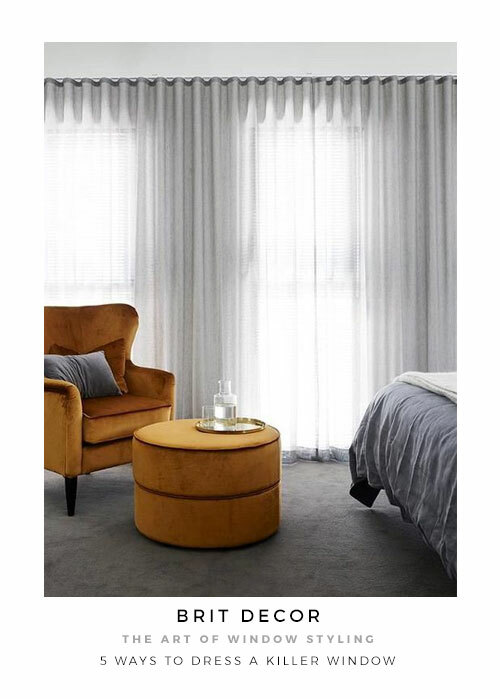 Sheer and semi-sheer window dressings are an elegant means of filtering soft light into a room, and I simply love the way these lightweight fabrics float gently in the breeze when the windows are thrown open for Summer. 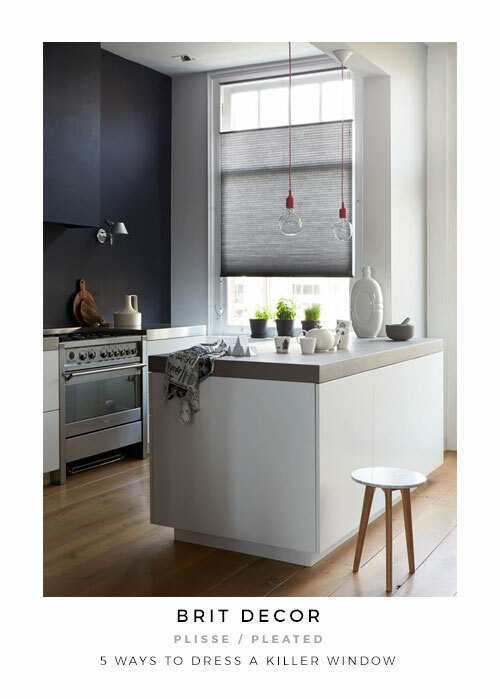 Roller blinds have come a long way - from basic to beautiful. These are also great for customising with photographic prints or even some free-hand block printing. Similarly, choosing designs with simple fabric trims or embellishments can make for a charming design detail. 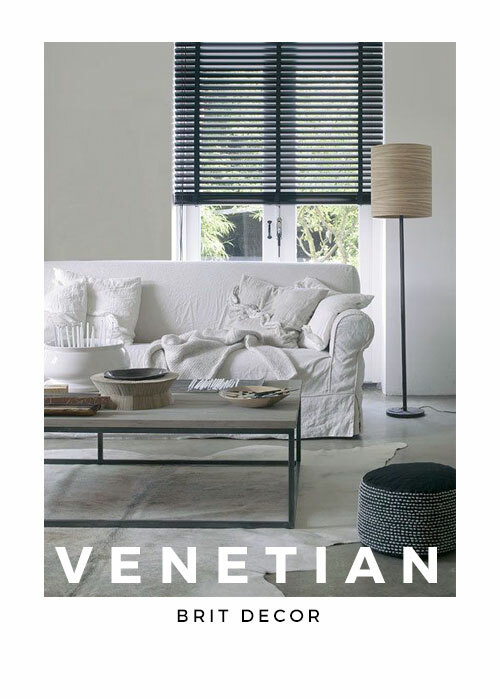 Venetian blinds are fantastic for delivering strong horizontal lines. I always recommend spending a little extra on these, as more economical versions tend to bow and break pretty quickly. For an added visual twist, try pairing with bold vertical stripes. I love these. My favourites are anything sheer though I worry about how much can be seen through them when it is dark outside & light in.